As a proud homeowner, you take pride in making your home look great both inside and out. When you focus on the exterior of your home, a lush yard is key for eye-catching curb appeal. Summertime in Charlotte can get quite warm and the mountainous terrain can make winters awfully cold. So, if you are looking for the best grass type for your home, you will need one that is susceptible to both extremes. Kentucky bluegrass has a very rich, green color and nice texture that makes it actually quite durable. If you have children or pets that may find their way onto the lawn, Kentucky bluegrass won’t get that “stomped” look and will actually bounce back quickly. This lawn is also susceptible to harsh, cold temperatures so it will be able to survive. Kentucky bluegrass will also be able to handle the excessive heat from hot Charlotte summers and if there is any chance of drought, the lawn will survive through that as well. During these excessive temperature changes, however, Kentucky bluegrass will look a bit dormant. Once it gets the correct temperature and water supply, the growth will take up right away. Kentucky bluegrass is available in sod sheets and bags of seeds so that you can choose which way you prefer. Lawn Mowing Height: Kentucky bluegrass should be maintained at 2 1/2 inches and mowed at least once per week during the warmer summer months. Tall Fescue, as well as Fine Fescue grass, is the ideal cool season grass for Charlotte’s climate. Tall Fescue will do the majority of its growth when the temperatures average from 70-80 degrees, typical for Charlotte’s summer average. It can also handle extreme temperatures, drought and doesn’t usually get an excessive number of weeds. Re-seeding will sometimes need to take place in the fall but will be ready for growth and ability to fill in when spring and the major growth spurt occurs. Tall Fescue will also give a great appearance when in full bloom and will allow your lawn to look rich and healthy. Lawn Mowing Height: Tall Fescue should be kept at 3 to 3 1/2 inches consistently and mowed at least once every nine days to ten days during the peak growing season. Zoysiagrass can sustain Charlotte’s weather conditions and will also thrive in not only a sunny location but also one with little shade. Full shade isn’t recommended because it needs some sun to thrive. There are a few different species of Zoysiagrass, and many are only available in plugs, so you will want to research all of that before making your final decision. One of the best features of the Zoysiagrass that many homeowners really enjoy is that there are very few, if any, weeds, making this a beautiful low maintenance lawn. Lawn Mowing Height: Zoysiagrass should be kept at about 1 to 1 ½ inches regularly which should be weekly during peak season, which is normally the warmer summer months. Bermudagrass is another great low maintenance grass type for Charlotte homeowners, it’s resistant to drought conditions and can grow in various types of soil. Bermudagrass should be maintained at a consistent height, at about 1 ½ inches through the summer months, and fertilized about every four weeks. It thrives in areas with full sunlight, and is great for heavy traffic areas–so you won’t have to worry about children or dogs damaging your lawn. Lawn Mowing Height: Typically 1 ½ inches is an ideal height for Bermudagrass, but if you have a Hybrid Bermudagrass than that can be mowed at about 2 ½ inches consistently. Have additional questions about your lawn? Visit our Charlotte lawn care page for more information! 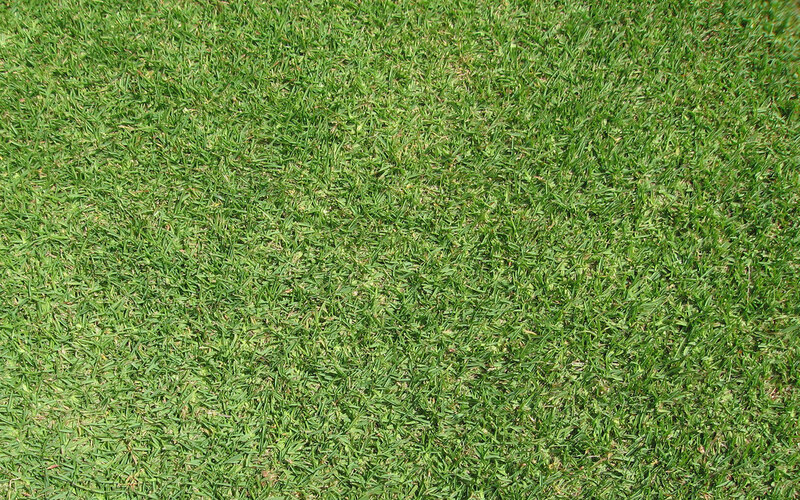 The post 4 Best Grass Types for Your Lawn in Charlotte, NC appeared first on Lawnstarter.